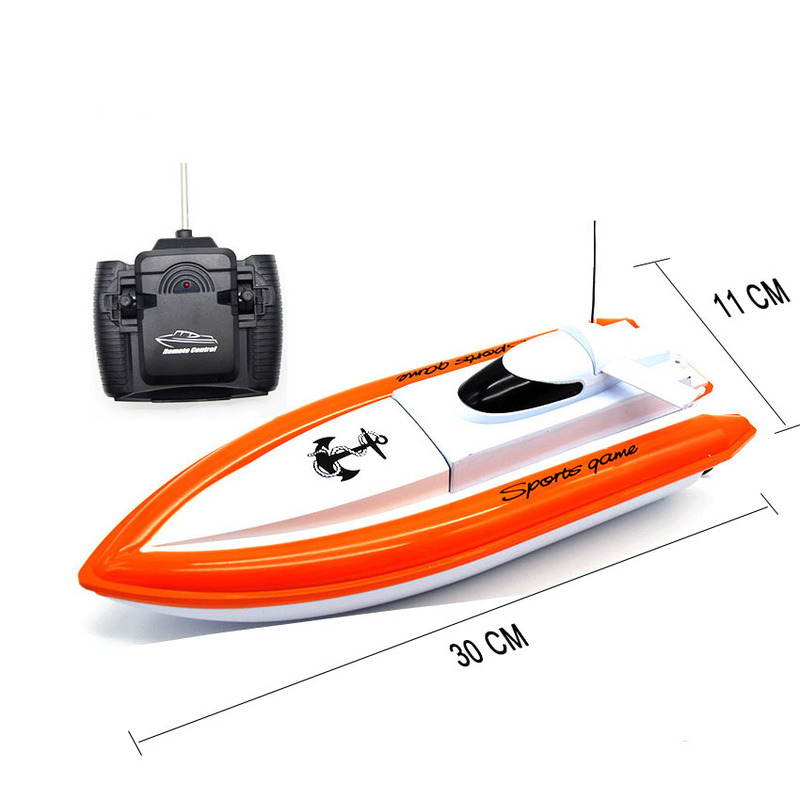 Size: 30X11X9CM Box Size: 44X16X13CM Battery: 4.8 V 700 mA NiCd batteries Charging time: 3 hours Remote time: about 10 minutes, Remote distance :30-50 meters, Color: Red / Orange Frequency: 27MHZ,40MHZ,49MHZ Features: forward / backward / left / right choice to achieve multi-channel multi-frame control while the game flowing lines Entirely suitable for water resistance stylish “Product Features ” 1 : Flying a pipeline shape, stylish appearance ! The water resistance is smaller and faster . 2 : Hull only water sensor switch to remote control after launch . Prevent children accidentally hurt . If you need to test , hands pinch the top brass propeller , you can remote control boat. 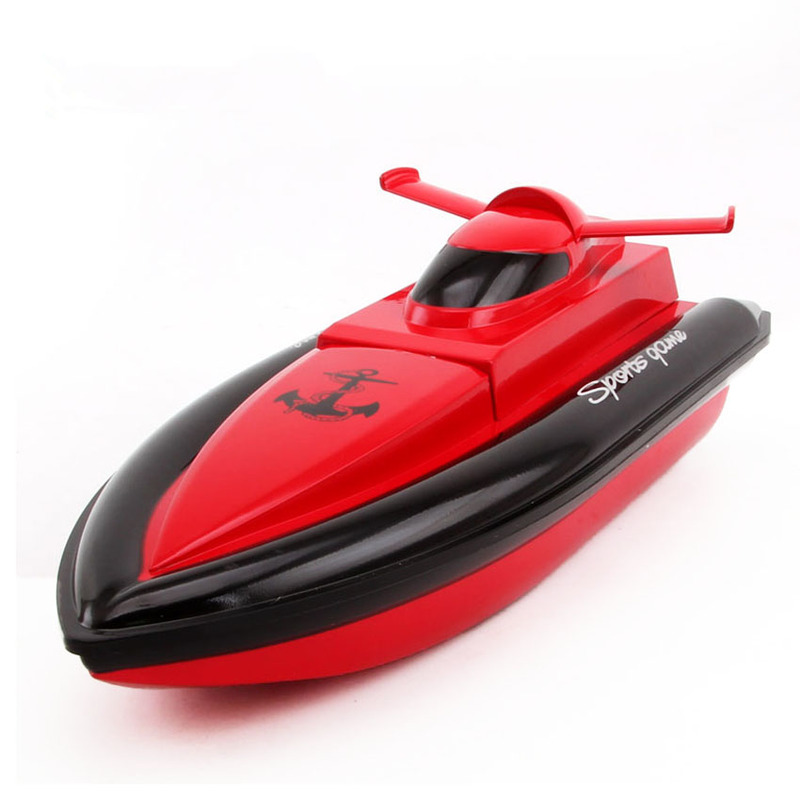 3 : Stone remote control boats , in addition to forward, turn left , turn right, you can also back. 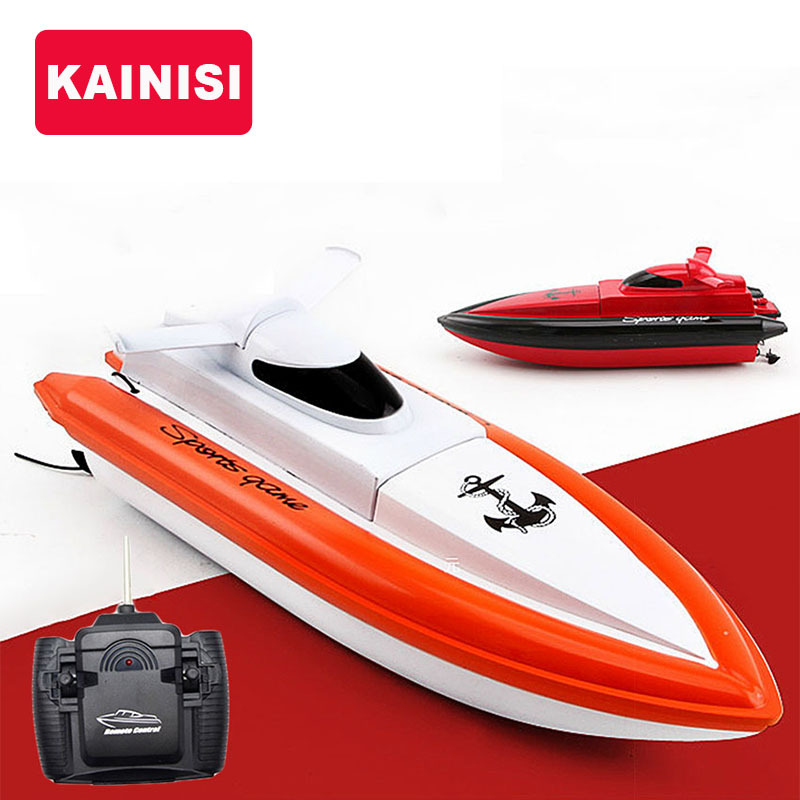 When a general remote control boat can only go forward turn around, but we can go back flying fish , such encounters shore , you can quickly turn to turn . 4 : Battery. 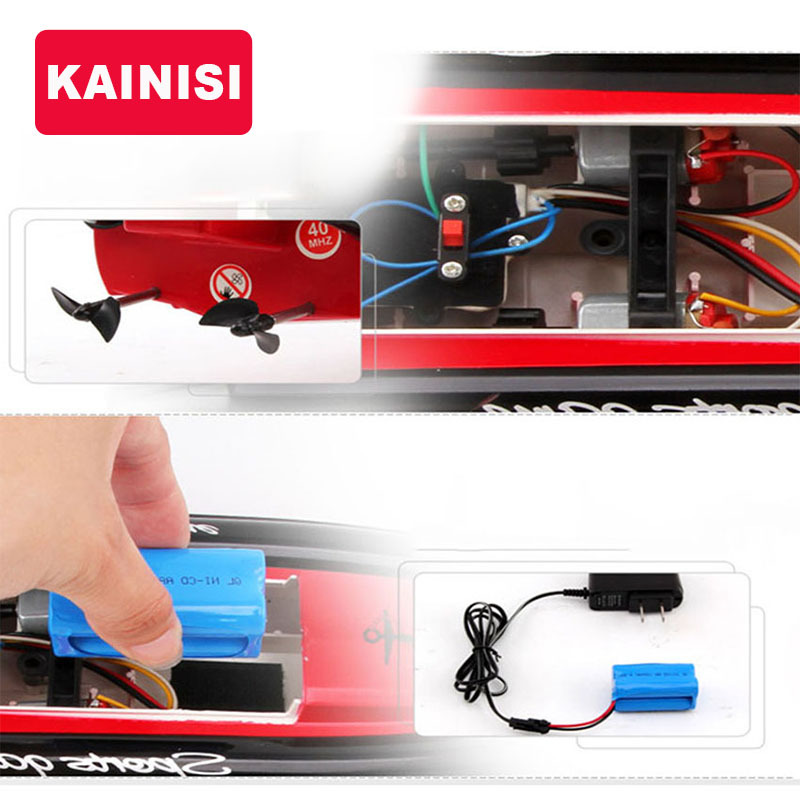 Hull 4.8V700 mAh high-capacity battery nickel-cadmium batteries , the same kind of boat than 300 mA using nickel-cadmium batteries, battery capacity is two times more than the average boat only six minutes to play , we play Flying time around a staggering 12 points . Safety tips: Underwater switch. 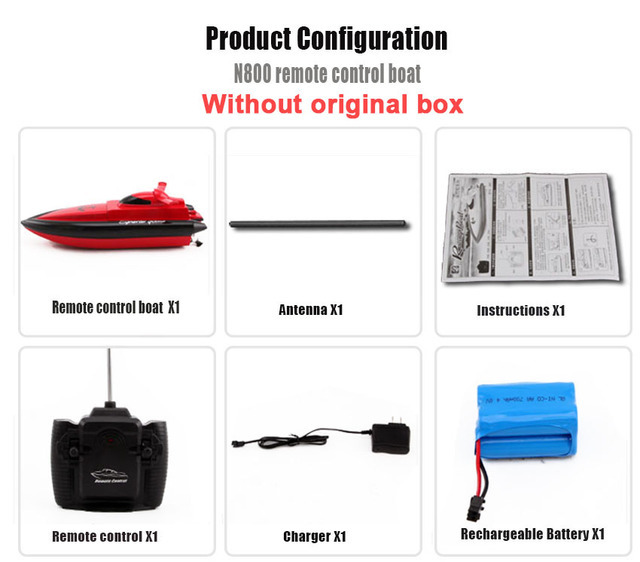 When the propeller to leave the water, it will stop working Only when the propeller and the hull in the water, remote control boat to work properly. Item as advertised. 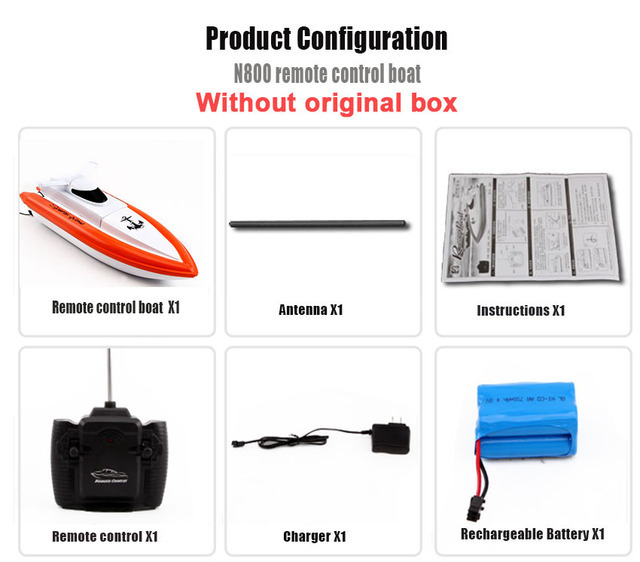 But the remote control is not like for quadcopters that if you press slightly, it will also move slowly. 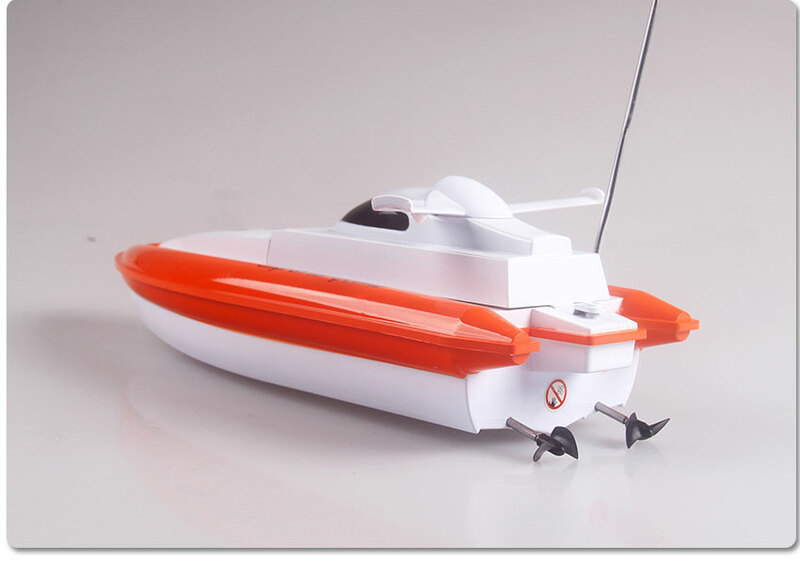 Here on this RC boat, either you press it slowly or fully, the boat will still move at its full speed.